Dear friends, what does it mean to be Singaporean? Can we even build a national identity when less than half of our total population was born here? I published an essay on IPS Commons today examining these issues. Please click here to read it. China-born Feng Tian Wei’s Olympic table tennis bronze medal has sparked an outcry in this country about what it means to be a true Singaporean. Many Singaporeans say they feel no pride about the country’s first individual Olympic medal in four decades. Yet the problem is not so much that Ms Feng has failed to integrate into Singapore. It is that the people who grew up in Singapore, myself included, have failed to integrate into Ms Feng’s Singapore — the Singapore of the future. Native Singaporeans cling to a romantic notion of national identity that is now passé. For better or worse, the era of Singaporean national identity, the one that our founding fathers tried to establish, is fading. In many countries, national identity develops from a common tribal base, whether stemming from ethnicity, as in Japan, or religion, as in Pakistan. In some other countries, national identity is nurtured initially through a shared values system — for example, freedom and opportunity in the United States. On August 9th, 1965, Singapore had neither. As Mr Lee says, most modern states are the products of a drive to self-determination from a nation of people. In Singapore, the opposite happened. We were made a state, and then had to artificially create a nation. Singapore hence tried to establish both a unique tribal base as well as a shared values system. The unique Singapore tribe comprises Chinese, Indians and Malays, who speak English, Mandarin, Malay and Tamil and worship at temples, mosques and churches. Other dialects (e.g., Hindi) and religions (e.g., Zoroastrianism) that might belong to these three main groups in their homelands were occasionally tolerated, but sometimes, as in the case of Chinese dialects, actively suppressed. Meanwhile, almost every other person from outside this polyglot tribe was welcomed into the new Singapore of 1965, but was stuck with the rather uncharitable, amorphous label of “Others”. When Singaporeans first receive an Identity Card, which states our ethnicity, at age 12, we huddle and swap them around with our friends, poking fun at unflattering photographs and pontificating about exactly where young Mr/Ms “Others” is from. The message to “Others” has always been clear: please stay, but do remember that you are different from us. Singapore also ingrained a common set of values in people — hard work, tolerance, the importance of meritocracy, and the belief in pragmatism both in day-to-day behaviours and national policies. In what is now a well-worn yarn, this combination of hard work and meritocracy, coupled with an open economy and good governance, propelled Singapore up the development ladder in a few short decades. While the economy grew rapidly, Singaporean identity always remained in flux. It has not been easy creating an imagined community out of nothing. At no point in our history did “What does it mean to be a Singaporean?” have an easy, consistent answer. Depending on who you speak with, Singaporeanness can range from the trivial (“Our food!”) to the profound (“Pragmatism”). Yet even the famed Singaporean pragmatism has no consistent definition. At its meekest, it points simply to the habit of making rational rather than reckless decisions. At its most draconian, Singaporean pragmatism can refer to an austerity of action and thought where every single interaction is pregnant with cold calculation, where every calorie, it seems, must be expended only towards some higher economic purpose. “Poetry is a luxury we cannot afford,” Mr Lee famously told students at what was then called the University of Singapore in 1968. This brand of Singaporean pragmatism is our brutal riposte to Europe’s joie de vivre. Even today, when fans of the fiscally prudent Singapore government thumb their noses at Southern Europe’s parlous public finances, the crux of their triumphalism is a preference for disciplined pragmatism over the perceived trappings of joie de vivre. Tensions between Singapore’s various cultural narratives have always simmered below the surface. They came to the fore most prominently in the late 1990s, when a segment of Singapore’s population, led by Goh Chok Tong, the then prime minister, fought a misguided battle to dampen the use of Singlish in Singapore, claiming that foreigners may not be able to understand Singaporeans who speak Singlish. The inevitable backlash was ferocious — which in Singapore means we all sobbed quietly to cabbies. Confused Singaporeans lamented the possible loss of one of our few truly unique cultural markers. And yet Mr Goh need not have worried. From the mid-1990s till today, a dramatic experiment in mass immigration as a means to counter low birth rates has meant that opportunities to use Singlish are dwindling. Put another way, Singapore is possibly the only country in the world where there are more migrants — including temporary workers, permanent residents and foreign-born citizens — than native-born people. Some like to call the US a country of migrants. Singapore is much more — it is a country for migrants. The recent furore over “The Sticker Lady” dug up some old debates about vandalism and the nature of art. What was missing was a discussion about her linguistic choice and the market for it. Perhaps the reason Sticker Lady doesn’t have more fans in Singapore is because, well, less than half of the country even understands the meaning of kancheong. Perhaps, to the immense relief of English pedants, the 1990s will one day be remembered as the apex of Singlish. Proponents of high immigration in Singapore point to the demographic make-up of global cities such as London and New York as exemplars. This argument is somewhat defensible from an economic point of view, but it also reveals the fundamental problem with Singaporean identity. London and New York are global cities that are connected to much larger heartlands. No matter how cosmopolitan they become, there will never be any doubt about what it means to be, respectively, a British and an American. The identity of those countries is never in question. Singapore, largely because of history and politics, is untethered from our most obvious heartland, the Malay Peninsula. Singapore is not a primary city for the Malay-Indo region, or for China, or for India. We have tried to position ourselves as the Asian jack of all trades, a developed world hodge-podge that is both all of Asia and yet not Asia at all. Again, while this may work economically, from an identity standpoint, contradictions abound. This combination of globalisation, low birth rates and high immigration has essentially overturned the very essence of Singaporean identity that our forefathers tried to build. The traditional notion of “tribe” — Chinese, Malay and Indian — has been disrupted. While diversity must be cheered, it would be callous to ignore immigration’s impact on feelings of identity and belonging. Singaporeans welcomed “Others” when they were a small minority; now that “Others” are flooding in, completely dissolving native-born Singaporeans in places such as Marina Bay, the core feels vulnerable. Some suggest that when Singaporean Chinese try to differentiate themselves from Mainland Chinese — or, for that matter, Singapore Indians from India Indians — it is because of classism or racism or some other prejudice. While perhaps true in some instances, the most basic instinct that is driving these actions is the loss of identity. Singaporeans are desperately clawing onto any vestiges of Singaporeanness. The pro-migration camp does not seem to understand these grumblings. The common refrain is that many countries welcome migrants, and so Singapore should be no different. But this harks back to the earlier point about magnitude. While migration does occur globally, no other country has enacted such dramatic demographic change. The seemingly irrepressible waves of migrants over the past two decades have affected Singaporeans’ job opportunities, quality of life and, most importantly, identity. This is true not only in terms of our tribe but also values. Singapore’s meritocracy has long promised that as long as individuals work hard, they will enjoy the fruits of their labour, with the best workers rising to the top of the ladder. Here, again, mass immigration has undermined this contract. At the top end, the perception is that the global elite has moved here with containers of cash in hunt of lower tax rates, and is creaming off the spoils of Singapore’s growth. At the bottom end, a seemingly endless stream of low-cost migrants from neighbouring countries has allowed businesses to keep wages low, squeezing out hardworking Singaporeans who face spiralling living costs. In the middle, there are many stories about how the infusion of migrants has torpedoed Singapore’s meritocracy. One common anecdote relates to India Indians in the financial services sector, who prefer to recruit their old chums from back home rather than promote well-qualified Singaporeans from within. Unlike many other countries, including Hong Kong and the US, Singapore does not require employers to look for locals first. For any particular vacancy, companies are free to hire from anywhere in the world (up to their foreign-worker quota). They do not even have to advertise the position locally. As a result, over the past few years, there have been countless accusations of employers giving preference to foreigners over locals — the reasons vary, depending on the sector and seniority. In mid-level service jobs, for instance, employers can generally hire foreigners from less-developed parts of Asia at lower wages. Singapore’s meritocracy was meant to reward people fairly for their efforts; but in the eyes of many locals, it appears to be performing less and less equitably. This, in turn, has threatened the very notion of Singaporean identity. Finally, mass migration has dented Singapore’s attempts at inter-ethnic integration. Recall that the entire thrust of Singapore’s national identity formation from the 1960s onwards involved a seeping away of ethnic, clan and communal identities and sentiments in favour of the higher, common Singaporean identity. Don’t speak Hokkien, we were told, because we can’t alienate the non-Hokkien speakers. Don’t allow too many Indians or Malays to live in the same area, we were told, lest a ghetto forms. The Singaporean, a new glorious pan-Asian breed, was meant to rise from the ashes of ethnic and religious strife, to tower above the clannish impulses that govern lesser beings. But somebody forgot to tell the new migrants. Ethnic enclaves have now formed, including a rather posh Indian one in the East Coast and a more humble Vietnamese one in Joo Chiat. Foreign languages and dialects are all the rage, echoing through the corridors of high finance down to the back alleys of coffeeshops. Ms Feng, to the bewilderment of her fellow citizens, has not bothered to learn English, despite having lived in Singapore for five years. In terms of identity, it is as if native-born Singaporeans have been marshalled and spanked for years while migrants, including new citizens like Ms Feng, have been given carte blanche to be whoever they want to be. It is interesting to compare the relative reactions to the two Malaysian and two Singaporean Olympic successes. Ms Feng not only won an individual bronze, she and her China-born compatriots also won the team table tennis bronze. For Malaysia, Lee Chong Wei won a silver medal in badminton, while Pandelela Rinong Pamg won a bronze for diving. Singapore is regarded as having more harmonious inter-ethnic relations. Malaysia is often accused of treating minority groups, including the Chinese and Indians, as second-class citizens. But the different receptions accorded to the athletes speak volumes about identity in the two countries. While Singaporeans ummed and ahhed about our paddlers, who belong to the majority ethnic group, Malaysians came together in overwhelming force to bask in Olympic glory, cheering two people from minority groups — Mr Lee is Chinese while Ms Pandelela is from the tiny Bidayuh community in Sarawak. In other words, in Singapore there exists a degree of harmony and integration, but there are deep uncertainties about what Singaporean identity actually means. In Malaysia, by contrast, there is more ethnic and religious strife, often centred on disagreements about how Malay Muslim constitutional pre-eminence should be applied in society. However, even while Malaysians repeatedly re-negotiate this social contract, one might argue that they are more comfortable in their own skin — they have a stronger sense of identity. There is perhaps also a lesson here about the state’s role in identity creation. Singapore has always had the stronger state and a more active, top-down national identity campaign. But the flipside is that the state might have always come across as overweening, moralising and paternalistic. This may have bred a certain dependence amongst the population, who seek guidance from above on all issues — from ethnic relations to whether graffiti should be considered art — that might be important for identity creation. All the institutions, including those in the arts, media and civil society, that might have played a role in organic identity creation, have been co-opted or subdued by the state. In short, Singaporeans know who we are supposed to be, but have not been given much of a chance to say who we want to be. Eschewing poetry might have helped focus Singaporeans on technical skills, but it probably also lobotomised our identity-creating instincts. How many Singaporeans still know the words to “Di Tanjong Katong”? With birth rates unlikely to rise rapidly, and immigration likely to continue, albeit at a more moderate clip, it will be interesting to see what happens to this fragile, embryonic, 47-year-old Singaporean identity. How can a country construct a national identity when less than half the total population was born there? Some will argue that a person does not need to be born in a country to really feel at home. Perhaps. But it certainly helps. My mother moved from India to Singapore in 1974 at age 24. Though she has lived here for 38 years, and is very Singaporean in so many ways, she still doesn’t really understand the nuance of kancheong. People will always have one set of feelings for the land where they were born and grew up, and another for their adopted home. Perhaps the reality is that Singapore cannot build both a national identity and a global city identity. The national identity served us well in our formative years, but the global city identity will carry us forward. We are actually in the midst of a transition from the former to the latter. A global city identity is much more fluid, less rooted, than a national identity. People do not take up Singapore citizenship for the same reasons they take up, say, American citizenship. In Singapore, it is not about ideals or dreams or what the country stands for. In Singapore, the impetus for migration is purely transactional — including lower tax rates, safer streets and the ability to invest in property. Migrants, many of whom now have a critical mass in Singapore, tend to live their own lives in their own silos. They interact with others, of course, playing, working and breaking bread together. But there is no larger, imagined community here that binds all the people in Singapore. The migrants of today will probably never integrate like the migrants of yesterday. The world is more globalised and cognitive distances shorter. Migrants already think of Singaporeanness in terms of a global city identity, not a national one. Many will send their children to international schools — launchpads, it is hoped, for them to join the global elite. For these young ones, Singapore is just one of a patchwork of identities they hope to stitch together as they journey through life. And that, strangely, represents the optimism in this identity story. There are few countries in the world where race, religion and language are depoliticised to this extent, where it is so easy to set up a business, where people from all over the world can visit so seamlessly. By unwittingly de-emphasising national identity, and ultimately nationalism, Singapore is creating a model for a future where nationhood, ethnicity and religion should not matter. Each must be celebrated, but remain secondary to the higher human identity. In other words, while there may never be a larger, imagined community within Singapore, people here will constantly be thinking about the larger, global imagined community. Some suggest that the Singaporean’s greatest strength is as a global interlocutor. In this rapidly evolving multi-polar world, we can find common ground with more people than any other nationality. Simply, we have more cultural touchpoints with more people. The Americans, so the argument goes, find it easier to deal with Singaporeans than with any other Asian. The Chinese, similarly, have less trouble communicating with Singaporeans than with people from other English-speaking countries. According to George Yeo, Singapore’s former foreign minister, Singaporeans are experts at “code switching” when they move from communicating with, say, a relatively introverted Asian to a gregarious Westerner. This transition from a solid albeit nascent national identity to the more fluid global city identity will have implications for mindsets, personal interactions and national policy. For instance, instead of viewing India Indians with suspicion for their allegedly cronyistic recruitment policies, Singaporeans must start to realise that this might actually be how many cultures operate. With a national identity lens, Singaporeans might complain more about India Indians screwing up our meritocracy. But from a global city identity standpoint, Singaporeans might be more eager to absorb lessons, and ultimately beat the India Indians at their own game — both in Singapore, and possibly in India. This is not to condone cronyism; rather, more a recognition that societal structures and incentives will always be different the world over. Similarly, if we embrace this global city identity, Singaporeans should not care if Ms Feng never learns any English. She does not have to sound like us to be one of us. Her time is probably better spent smashing balls than reading Shakespeare. From a policy point of view, this transition from a national identity to a global city identity has many implications, but most directly for integration. In a global city, it makes little sense, for example, to maintain ethnic quotas in HDB housing estates, when all over the country little ethnic enclaves have formed. Becoming a global city, therefore, requires some fundamental changes in mindsets and policies. In any case, regardless of national policy, this transition is underway. Every year sees more mixed marriages, as cultures and languages blend further. There are many stories of professionals leaving their jobs to pursue alternative careers or go to cooking school, embracing joie de vivre at the expense of pragmatism. Organically, from the ground up, Singapore’s identity is evolving. But there remains one major problem with this transition from a national identity to a global city identity. Many have been left behind. Social inequality has risen rapidly over the past two decades. The only way for all Singaporeans to accept the pros and cons of living in a global city is if we can actually participate in it. Indeed, if Singaporeans from all backgrounds had shared in the city’s growth over the past decade, any supposed xenophobia would have been muted. Addressing inequality — including in education, employment and income — remains this global city’s greatest priority. Though the government clearly recognises this and has begun to take steps to address this, it will not be easy reducing social inequality. Singapore faces global trends — such as economic and technological change — that have created a winner-takes-all global market economy, where wealth is increasingly concentrated at the top. Domestically, meanwhile, mindset changes are needed. But it will not be easy convincing Singaporeans to embrace a more redistributive socio-economic model after decades of severe allergy to welfare. And yet the alternative is dire. If Singapore is unable to reduce social inequality, lower-income citizens will become increasingly disenchanted both with their economic prospects and their sense of belonging in this global city. That could lead to serious social friction of the sort that Singapore has never before witnessed. Given globalisation and the ongoing shift of economic power from the West to the East, it seems likely that all the global cities in the world — including Dubai, London, New York and Singapore — will experience some form of identity convergence. Global cities will start to look and feel more and more like each other, from the kinds of shops that set up to the nature of business activities in the city. They will attract people from the same talent pools. These global cities will be similar, but each with a local flavour. So, the end of (national) identity, but the start of something new? It is doubtful, though, if a global city identity can ever inspire fervour like a national identity can. In this new global city future, Singaporeans might never cheer for one of our own the way Malaysians of all stripes celebrated their Olympians. But Singaporeans won’t worry too much about such things; we will just join the Malaysians in cheering Mr Lee and Ms Pandelela. After all, a winner is a winner, no matter what country — or city — they’re from. Based on this, I do not know if the government does not have the data or if it has the data but does not want to release it to the public. In any case, I have performed a very rough calculation based on other publicly available data to arrive at a rough ‘guesstimate’ that 45.8% of Singapore’s total population (residents and non-residents) was born in Singapore. For more detail on the assumptions in my calculation, please refer to this page. This is a very interesting article. I had the pleasure of visiting Singapore last summer. While prior to visiting I understood globalization from an ideological and intellectual perspective, it was only after visiting that I fully understood it from an experiential perspective. I look forward to reading more of your work. My friend We King has shared a great passage by EB White who wrote about his home state during the 1940’s. ‘…There are roughly three New Yorks. There is, first, the New York of the man or woman who was born there, who takes the city for granted and accepts its size, its turbulence as natural and inevitable. Second, there is the New York of the commuter–the city that is devoured by locusts each day and spat out each night. Third, there is New York of the person who was born somewhere else and came to New York in quest of something. Of these trembling cities the greatest is the last–the city of final destination, the city that is a goal. It is this third city that accounts for New York’s high strung disposition, its poetical deportment, its dedication to the arts, and its incomparable achievements. Commuters give the city its tidal restlessness, natives give it solidity and continuity, but the settlers give it passion. And whether it is a farmer arriving from a small town in Mississippi to escape the indignity of being observed by her neighbors, or a boy arriving from the Corn Belt with a manuscript in his suitcase and a pain in his heart, it makes no difference: each embraces New York with the intense excitement of first love, each absorbs New York with the fresh yes of an adventurer, each generates heat and light to dwarf the Consolidated Edison Company. . . .
the point you make about a commonality of language in the Habermansian sense of identity with the sticker lady example and it’s (lack of) resonance with civil society. And the point on Feng not even bothering to learn English in a country where the main medium of communication is. And how Anderson would turn in his grave if this neo-nationalism was still accepted as a brand of nationalism. and by expanding on that, it seemed that the end of local identity just gave rise to something that meant more: a global one, and more importantly, that we seem to be the country that somehow managed it in a world that is almost unready to step beyond notions of identity outside Westminster definitions of sovereignty. the beginning is alright but could be made a little more solid with references to some of the commonly shared perceptions of nationalism, Ben Andersons’s definitions would be especially helpful for your piece. i would instead, steer away from one too many comparisons at the start between nations with too many years of history that allows for it’s citizens to agree on the existence of an identity. Hi Sudhir, I read your article with great interest. You had raised my expectations after the posts on meritocracy. I am not sure what you mean by identity and why you feel it is coming to an end at this point in time and not any time earlier. I find it hypocritical that you are silent on the huge immigrant population of indentured foreign workers, who have been here a lot longer than the recent influx of better educated and better employed immigrants, and how Singaporeans like yourself can remain comfortable with the odious policies of segregation and legality that govern foreign workers on the one hand, while spouting vitriol against a different class of immigrants who are allowed to bring their spouses and children here, marry local and whose pregnancy does not mean repatriation or abortion. How can you worry about corrosion of national identity because of one type of immigration without a tinge of disquiet about the moral harm that proximate inequality brings about by a different type of immigration? How dare the Indians form posh enclaves in the East Coast? Have we run out of dormitories next to the Lim Chu Kang cemeteries? ps: The United Nations Department of Economic and Social Affairs puts Singapore’s foreign-born population in 2006 at 42.6%. So I guess your guesstimate could well be on the money. Thanks Venkat. I believe that loss of national “identity”–a person’s conception and expression of their national affiliations–is a slow process that has been occurring for a while, you’re right. In general, I believe Singapore has allowed in way too many migrants in too short a time span–all part of the hunt for higher growth. We need migrants but we should have moderated the pace. This includes the better educated and the less educated migrants. Too many, too fast. Thanks for the feedback, and the stat from the UN. – It sounds like becoming a global city is rather inevitable but I think you are suggesting this is a positive transition, which surprises me given your enthusiasm for the Singaporean identity. I would think, in an extreme case of a global city where everyone is pulled from a different country, you would have no local identity and everyone would really just import their own. I’m sure that creates its own new local identity, but I don’t think it’s quite as interesting or rich as the original, which took a lot more time to create (and in this case I would assume Singapore’s was an extension of Malaya’s, rather than being something uniquely Singaporean). I agree this has to evolve with the times, but I don’t think 10-15 years is long enough to do this and I can understand local people being disgruntled with this happening so fast. – I would think that one of the major differences between the polyglot that existed in 1967 and the additional “others” today, is that the new migrants are heavily transient where as the the races that started in Singapore weren’t. They kind of keep one foot in both countries, straddling their lives. Are they having their kids in Singapore now? Are they expecting to stay here when they retire and get old? Those to me are signs that they view themselves as a member of Singapore’s society rather than just a visitor, which I would think is a crucial distinction from having a Singaporean identity. – I think the “human identity” which you identify isn’t necessarily more important than the national / ethnic etc. identities, because it’s made up of those identities. Somehow I think those are part of the foundation for a human identity. In my experience Indians do practice cronyism, however the local Singaporeans do not help themselves. In my experience, I have found that not many “well-qualified” singaporeans exist for the financial services business. As the nature of the business is that it is predominantly the Art of Mathematcs rather than the science, most Singaporeans are found lacking. Although the system has created many gifted technically capable people, it has done so at the cost of creativity and lateral thinking. I have found it much easier to succeed against “smarter” competition in Singapore than any other country which I have lived in. I strongly feel that singapore need to allow its citizens to be creative, even promote it vigorously, it they are to succeed in the global playing field. Without creativity there is no dreams, without dreams there is no vision, and without vision there is no purpose of action. Singapore has a non-modified universal hecrahatle system where the government ensures affordability of hecrahatle within the public health system, largely through a system of compulsory savings, subsidies and price controls. Singapore’s system uses a combination of compulsory savings from payroll deductions to provide subsidies within a nationalized health insurance plan known as Medisave. Within Medisave, each citizen accumulates funds that are individually tracked, and such funds can be pooled within and across an entire extended family. The vast majority of Singapore citizens have substantial savings in this scheme. One of three levels of subsidy is chosen by the patient at the time of the hecrahatle episode.I have found this information from wikipedia. And I am giving u a link of a site where u will find information about health. 2. Require a job to at least be advertised in Singapore first. Dear friends, thanks very much for your feedback on Singaporean identity, has improved my understanding of the issue. Sadly, in my bid to write neutrally, I may have given off the wrong impression to some, who think that I favour an identity shift or, worse, that I am a foreigner or PAP-man paid off to subtly promote Singapore the global city. So, just for the record, I am sad about any loss of my Singaporean identity. I am annoyed when people at work don’t understand my Singlish and when people in coffeeshops don’t understand my English. It rocks me to the core when people diss the smell of curry or the sophistication of tau huay. I will always love migrants–including my parents–but feel strongly that migration has happened way too fast for too long. The End of Identity? My brain thinks I’m right but my heart hopes I’m wrong. Like it or not, we have taken the step into being a global city and losing our sense of nationalism. The market place takes precedence. Jim Rodgers, Severin and their like are joining us not because they like to be “Singaporeans” but to take advantage of policies created by the government. Nothing wrong in that but as the author rightly pointed out we are slowly losing our sense of self and identity. Without that we are not a nation but merely a “trading post” for better or for worse. I would like to offer another perspective: I think Singapore did have a national identity based on a common value system: the sense of progress (defined mainly in economic terms). In the absence of religion, race, language, and the other factors that typically unify a nation, the sense of progress seemed to be the one thing that all Singaporeans lived and worked for since independence. Things like hard work, tolerance and pragmatism, imbued by our government over the years, were only the means. The ends was to progress to a better life and a higher societal status. It seems to me that the recent influx of immigrants eroded, halted and in some cases reversed many Singaporeans’ sense of progress. In my view, it is the threatening/violation of this longstanding identity that explains the outcry against these immigrants. 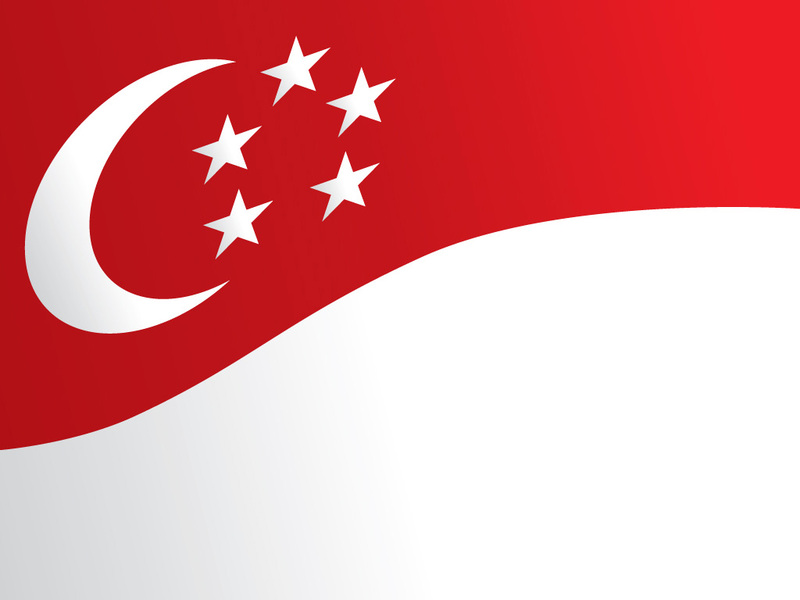 The successful creation of the Singaporean national identity in our early years necessitated the deconstruction of cultural and racial identitities within Singapore, and in turn it had to clearly define a national identity that could only be rooted in a nationalistic Us versus Them psyche that bordered on xenophobia. It explains the fervour with which we supported the Singapore team in the Malaysia Cup of the 90s- us versus the rest of the Malaysian states. Mind you, the team starred foreigners as well, and i don’t remember that being an issue then. I guess it wasn’t a big deal when Others joined our side in battle against the big looming Them. The issue then with Ms. Feng is that we have no way of accepting her as one of Us in the “fight” against Them, when she is actually one of Them. My point is that globalization and the decline of nationalism has changed our perceived notion of Them. The perceived enemy is now within the state, and they have blue identity cards. I guess that makes my wife one of Them, and I’m in bed with the enemy. Exciting. National identity is forged over time. Singapore as a nation of 47 years needs more time. Its “original” citizens were mainly migrants themselves and they need time to develop roots in Singapore. No doubt this forging of a national identity is undermined by large additions of “new” immigrants citizens (ie those not borned in Singapore after 1965). If you are right that nearly a third of today’s Singapore citizens are not borned here then we indeed have a problem. I would rue the day we ever take on a global identity. What emotions can a global citizen feel for his country? If there is no emotion there is no national identity. You cannot die for your country for rational reasons. And if you are not prepared to lay down your life to defend your country somebody out there will walk in one day to swallow you up. That is the reality in our world. Thanks Sheema! Funny you found that paper, I actually quote chunks of it in my upcoming book. Yes, his racial worldview is scary….to say the least. I’m a Malaysian. but I’ve been living in Singapore all my life (born here). My paertns were Msians who came here and settled down many years ago. And the only reason they’d be going back to Malaysia any time soon is simple: lower cost of living. But recently, I have applied for citizenship, and will soon be a Singaporean.As for me, I can safely say that I dont think I will ever leave Singapore. Simply because, I have made my life here, for the past eighteen years of my life. I can’t imagine life anywhere else! This is my home!However, I am not NS liable and if I had to serve NS, I might think differently. I’m not sure. Do other PRs out there share my sentiments? Those who have lived here all their lives? That Singapore is, our home?I have a dream: I want to be a manga artist. Probably not the most fantastic dream but Here in Singapore, I see not many, if not almost nothing, of an opportunity to do it here. But here I am. If I study overseas, I want to come back, because everyone is here. My friends, family, memories Everything. everything is here. If I ever make it big, I want to say proudly, that I am Singaporean, and that this is a Singaporean production.So, can the government bank on this? That there are some who come to Singapore, and eventually make it their home? That they are not just citizens in name, but in heart? I think they can. This does not apply just to foreigners. Are Singaporeans, born n bred here, just Singaporeans in name? Or in heart?I am in heart. Are you? Singaporeans out there, think. Because if you were, all these hardship would mean nothing. Wish you every success with your Manga! What a great idea.